Dr. Lauren Helm, a licensed clinical psychologist, current offers individual psychotherapy for adults (18+) using evidence-based treatment. Receive individualized attention and support in addressing stress, anxiety, or other related conditions. 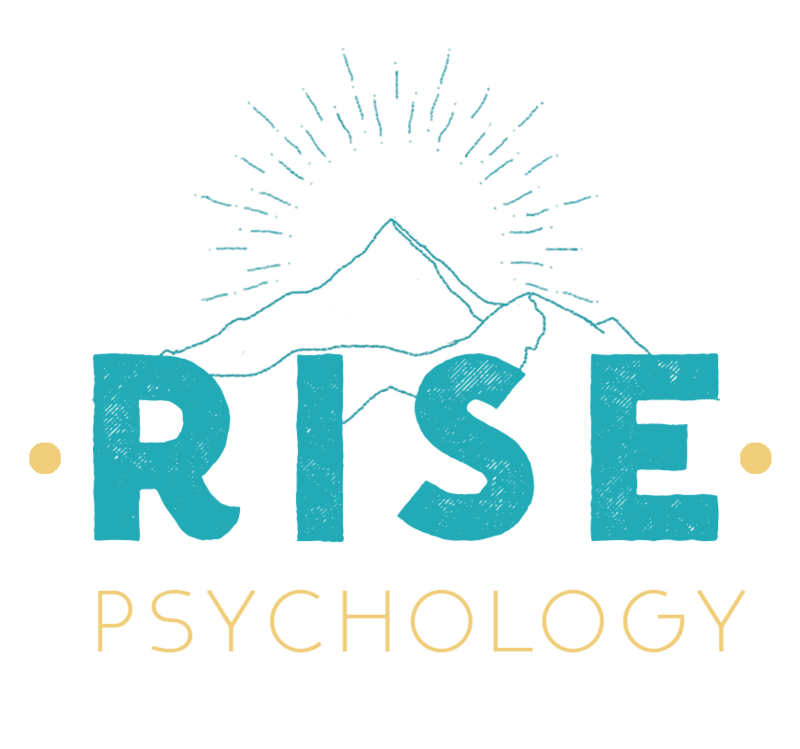 Learn more about psychological services offered at Rise Psychology, PLLC in Seattle, WA by scrolling below. Learn to become open, engaged, and aware to help you stop suffering & struggling with your thoughts, emotions, and pain. Practice mindfulness, cognitive defusion techniques, and committed action to help you get unstuck. Clarify what is really important to you, and take meaningful action towards creating a fulfilling life. Break the cycle of problematic thoughts and behaviors by learning new ways of thinking and acting. Build and strengthen skills for dealing effectively for life, including problem-solving & time-management skills, emotion regulation skills, mindfulness/acceptance skills, distress tolerance skills, communication/assertiveness/interpersonal/relationship skills. Gain freedom from the negative impact of difficult emotions with exposure therapy (e.g. prolonged exposure; exposure and response prevention) in the service of pursuing what is truly important to you. Read more information about exposure therapy for fear & anxiety. Learn about and practice present-moment-awareness, self-compassion and self-acceptance. Develop and fine-tune your awareness of the mind-body connection, and learn how to practice techniques for deep relaxation. Practice techniques that enhance psychological and physiological resilience to stress and anxiety. Receive HRV, EMG, SCL, temperature and respiration biofeedback performed by Dr. Lauren Helm, a board-certified provider in biofeedback by the Biofeedback Certification International Alliance (BCIA). Individual psychotherapy is provided in Dr. Lauren Helm's comfortable office, located on the 4th floor of the StudioWorks building in Ballard near the 99 highway and I-5 freeway. Soothing complimentary herbal teas are available upon request. The first step is to schedule a free 15 minute phone consultation with Dr. Lauren Helm to help determine whether the psychological services she offers or other community resources may be a good fit for your needs. You may schedule this free phone 15 minute phone consultation using the SimplePractice® secure online scheduling portal. If there are no appointments available for phone consultations, this means that unfortunately, Dr. Helm does not have openings for new clients at this time. Please feel free to check back later, or find other local mental health resources here. For individual therapy: The first few meetings will be devoted to diagnostic assessment, formulation, and treatment planning. Dr. Lauren Helm will assess for current and past symptoms, and learn about your personal history, and goals for the future to formulate a uniquely tailored conceptualization and treatment plan that takes into account the interplay between biological, sociocultural, psychological, and spiritual factors. This is also a time for you to get to know Dr. Lauren Helm's style, so that you can get a feel for her approach to therapy to see if it is a good fit for you. Referrals may also be made at this point, if other treatments, therapists, or a higher level of care may be recommended or requested. Payment is due at the time of service, before the start of your session. Credit cards, cash, and checks are accepted. This practice is not designed to provide ongoing crisis management or for treatment of issues such as psychosis, recent or active eating disorders, substance abuse, violence, or suicidality. A higher level of care for is needed for these types of issues and if they occur during your work with Dr. Lauren Helm, she will assist you in locating appropriate referrals. ALWAYS call 911 and/or report to the nearest emergency room for immediate care during a psychiatric emergency.